B.C. Lottery Corp. (BCLC), the gaming regulator for the Canadian province of British Columbia has renewed its efforts to set up casinos in the regions of the South of Fraser and North Shore. 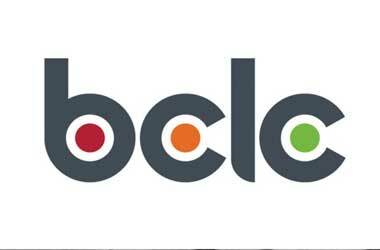 The BCLC has invited Delta, Surrey and the Tsawwassen First Nation to file expressions of interest by July 15 if they are interested in hosting a casino or a community gaming club. Similar invitations are being made to five cities on the North Shore namely North Vancouver District, North Vancouver City, West Vancouver, TsleilWaututh Nation and the Squamish Nation. According to the BCLC, a new gambling establishment in South Fraser could generate revenue of almost $25 to $50 million which would give the host city an annual revenue of $1.5 to $3 million as a result of the province’s revenue sharing policy. There are currently only two casinos operating in the area which are the Elements Casino in Cloverdale and Newton Bingo Country. There are no gambling facilities in the North Shore area. A casino facility in North Shore is estimated to bring in around $25 to $40 million, with the host community receiving $1.5 to $2.2 million from the 10 percent sharing policy. A previous attempt made in 2013 to open a casino in Surrey was unsuccessful. The city’s council voted out a proposal to build a $100-million casino in South Surrey near Highway 99. BCLC spokesperson Angela Koulyras said that it was three years since that verdict and with an increased population in the area, the idea could be explored again. City councils are already in the process of examining the advantages and disadvantages of hosting Canadian casinos. Jackson said that the possibility of the nearby Tsawwassen First Nation (TSN) putting in a bid could influence the city’s decision. Similar views exist in the cities on the North Shore as well. North Vancouver City Mayor Darrell Mussatto said that the TsleilWaututh has previously expressed a desire to have a gaming facility while the Squamish Nation already has a community gaming center located on Highway 99. Surrey Mayor Linda Hepner stated that she was not surprised that the BCLC was once again trying to set up a casino in the area. She said that the city had a policy in place permitting a new casino but the city council would first need to decide on the issue.